Mobile World Congress is a smartphone and tablets show but if the whispers are to be believed 2015 will see a wearable tech takeover. We'll be in Barcelona all week bringing you news, interviews and first impressions of the latest smartwatches, fitness trackers and maybe even some VR gear. Here's everything you need to know ahead of some big wearable tech announcements, starting with the fact that all the news will happen on Sunday 1 March before the show even begins. Samsung is expected to do an about turn after 12 months of rectangular Gear watches with a circular smartwatch codenamed Orbis. It's reportedly running Tizen, not Android Wear, and comes with a rotating bezel and wireless charging. Sounds like Samsung making its own take on the Moto 360 to us and we're excited to see what they've come up with. We could also see announcements of new apps, games and experiences for Samsung's Gear VR headset. 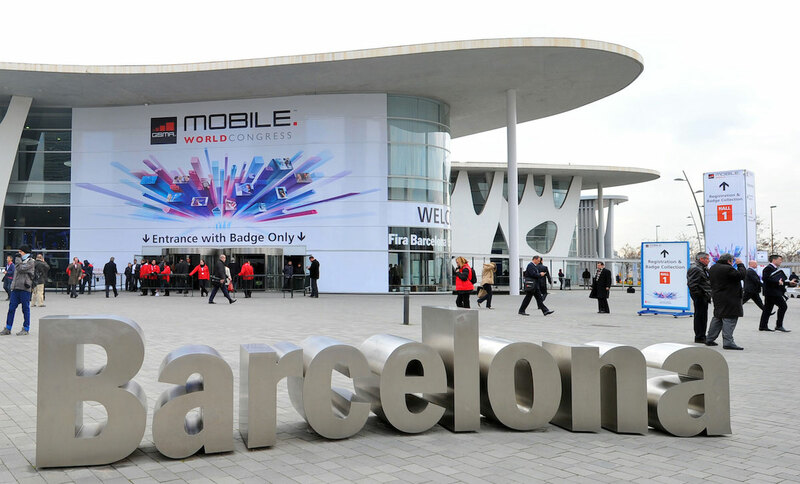 Check back: Samsung's MWC press conference begins at 6.30pm CET/5.30pm GMT on Sunday 1 March. HTC has been working on its first wearable for some time now, in partnership with Under Armour, but we're still not sure of many of the details including what form factor it will take. Expect the HTC wearable, codenamed Petra, to be fitness focused, perhaps with GPS onboard to make it a standalone device for running and workouts. The rumours say it could resemble the Samsung Gear Fit more than smartwatches we've seen so far from HTC's rivals and will run the proprietary RTOS. Check back: HTC's MWC press conference begins at 4pm CET/3pm GMT on Sunday 1 March. We've not heard a peep about new wearables for MWC from Sony, it sounds like it's concentrating on Xperia smartphones and tablets. But we're expecting to get some more hands - and eyes - on time with both the stainless steel SmartWatch 3, announced at CES 2015, and Sony's take on AR specs, SmartEyeglass, which ships in March. LG has already let slip details and pics of its latest pair of smartwatches - the stylish Urbane and Urbane LTE. The latter isn't just simply a connected version of the Urbane, it adds physical buttons, a bigger battery and a proprietary OS into the mix. We'll be heading over to the LG stand to report on our first impressions of both smartwatches and get some more info on price and release dates for both devices. OK we're really descending into tech gossip now but we'd been hearing rumours for ages and ages that Huawei is working on an Android Wear smartwatch. Then in January Huawei confirmed its new fitness platform would work across a smartwatch and smartband. We could also see a successor to the TalkBand B1, a tracker that doubles up as a Bluetooth headset but which needed a lot of improvements when we tested it. The one device that is confirmed for MWC is Huawei's 4.5G Smartband, unveiled this week. It's claim to fame is that it's the first LTE-M wearable (between 4G and 5G) but other than the mention that it will track fitness and heart rate, Huawei is keeping quiet on specs until its press conference. Check back: Huawei's MWC press conference kicks off at 1pm CET/12pm GMT on Sunday 1 March. Pebble's hugely successful Kickstarter for its new Time smartwatch is still going but we're hoping for a glimpse of the watch itself at MWC. Pebble CEO Eric Migicovsky is attending the show to speak at a panel on wearables so he could be sporting one of the new models. We'll keep you posted. Here's a few more juicy snippets for you.